Disclosure: This press trip and experiences were hosted, all thoughts and opinions are my own. Last year, an ultimate dream came true when I was able to attend a press trip for Disney’s The Nutcracker and the Four Realms. The trip began in an incredibly special way, at “Dancing with the Stars” pro-dancer Gleb Savchenko‘s dance studio, Pro Dance LA. 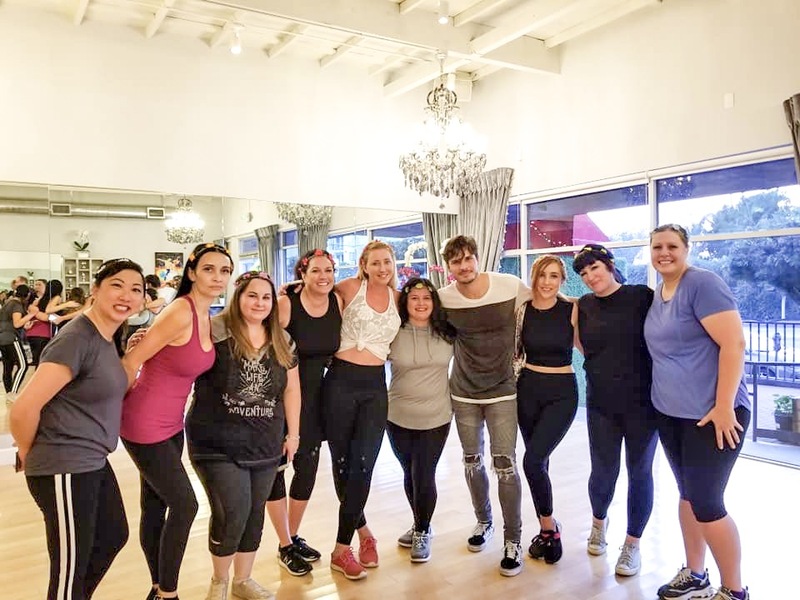 At the studio, myself and fellow bloggers on the trip were greeted by Gleb himself, as well as other “Dancing with the Stars” pros and “Dancing with the Stars: Juniors” mentors Brandon Armstrong and Alan Bersten. They split us into the realms modeled after those in The Nutcracker and the Four Realms: Sweets, snowflakes, and flowers! After becoming a part of team flower (we adorned flower crowns to show our team spirit), we were paired with Savchenko to teach us a dance to the beautiful song from the film “Fall on Me” by Andrea & Matteo Bocelli. You can’t help but get chills just listening to the song, through the beautiful vocals in English and Italian, instrumentals, and the crescendos. It’s a song that really encompasses that magic you feel when watching The Nutcracker and the Four Realms. “Fall on Me” feels even more beautiful when you truly feel the emotions of the song by pairing it with dance! After we were in our groups with Savchenko, Armstrong, and Bersten where they taught us a dance they choreographed based on the song, each of our teams performed for one another. I’m not a dancer myself, so didn’t think it would go over really well, but Savchenko, being the natural mentor that he is made us all instantly confident to learn the dance to perform in front of our peers! After having seen the movie and read the Disney storybook with her that features Misty Copeland’s character The Ballerina, she has been wanting to do more dancing. I thought it was the perfect opportunity to turn “Fall on Me” on a speaker (it is available on the soundtrack and Spotify) and let our creativity flow, just like we did back at Pro Dance LA! We also have been having fun adding elements like dress-up to our dancing. She wanted to wear her snowflake tutu to represent the realm of snowflakes, and I wore flowers in my hair to be the realm of flowers! The Nutcracker and the Four Realms will be on Digital, DVD, and Blu-ray January 29th, you can read my spoiler-free movie review here. You can also add to the fun at home with these printable Nutcracker coloring sheets and activity pages! The First Running Universal Event Coming to Universal Studios Hollywood!